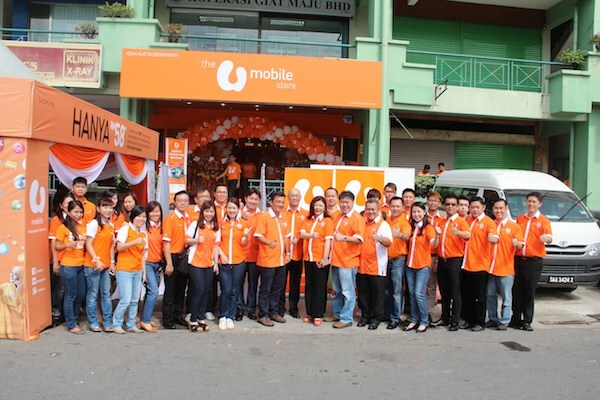 Good news for U Mobile subscribers who are residing in East Malaysia, U Mobile has recently expanded its services to the region with opening of the 15th and 16th centres in Kuching and Kota Kinabalu respectively. The opening of both outlets is aimed at bringing U Mobile products and services closer to consumers in the region, allowing them to enjoy U Mobile’s high quality mobile and data services at the best rates, along with other value-added services and benefits of being a U Mobile subscriber. With the opening of these two new branches in East Malaysia, it means that U Mobile subscribers in the region can now easily access all their U Mobile needs such as keeping up to date with the latest offerings, bill payments and even seek advice from U Mobile’s service consultants on any queries. “We are very glad to expand our footprint to East Malaysia and look forward to servicing further in this region. With the opening of our new branch, we are able to bring convenience and accessibility to our customers in this region. We remain optimistic to see many great things ahead from this expansion.” – Wong Heang Tuck, Chief Operating Officer and Acting CEO of U Mobile. U Mobile is currently providing 2G service across East Malaysia as well as 3G connectivity in limited parts of the region including Kuching, Sibu, Bintulu, Miri, Labuan, Kota Kinabalu, Sandakan and Tawau. Find out more about U Mobile’s coverage in East Malaysia via this link, or find out more about U Mobile’s postpaid plans and how they stack up against the other postpaid telcos in our comprehensive list of telcos in Malaysia and the services they offer.